The short answer is no, projects are not required to have start and end dates. 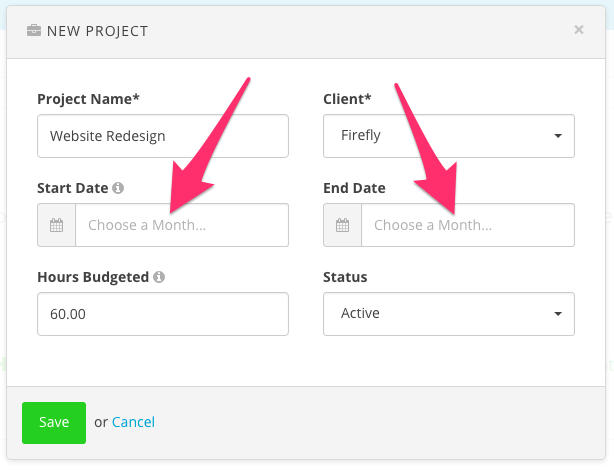 If you have an ongoing project (like a retainer) that doesn't have an end date, but you'd like it to appear blocked out on your Schedule, simply select a start date, but leave the end date field blank. This will block out the project on your Schedule indefinitely beginning with the start date.